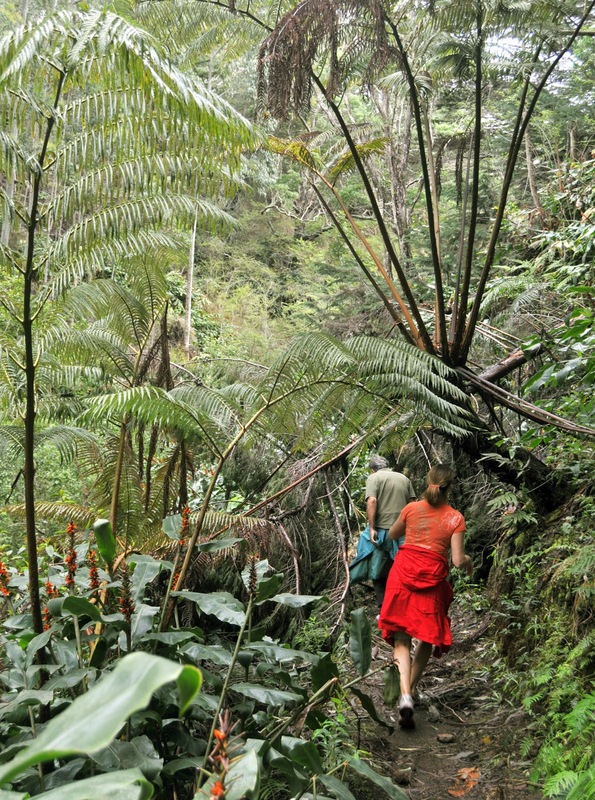 The Makawao Forest Reserve is well down the slopes of Haleakala on the windward coast, but still high enough above the coast (a couple thousand feet) to offer a cool, seven-mile hike on a seldom used trail through a variety of native and planted trees. Tourists rarely find this walk: The main trail, the Kapahakapao Loop Trail, is part of the state's hiking system, but is not shown on most maps. After communing with the plant world (and birds! ), head down the road a few miles to Makawao, Maui's dark-horse contender for best walk-around town. Love-the-earth locals and low-key Hollywood types mingle at galleries, eateries, boutiques, and upscale gift stores. The place has a rustic Old West look that reflects its paniolo (cowboy) culture. Catch the local rode, shop at Aloha Cowboy (Willie Nelson does), and then grab a steak at Makawao Steakhouse. See page 153 of Maui Trailblazer.